World’s First Afrodescendants’ Summit | S.A.M.A.A.P. 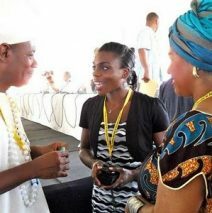 For three days August (17-21, 2011), in La Ceiba, Honduras’ third city in importance was the scenario for the World’s First Afrodescendants’ Summit. La Ceiba is a symbolic city of the Department of la Atlantida, (a “Garífuna country”). The Garífunas are a people that migrated from St Vincent and settled on the coasts of Nicaragua,Honduras, Guatemala and Belize. These people were never enslaved, dispossessed or subdued. Their spirit, self determination, and organizational force are their biggest recourse. They still speak their native language and conserve African traditions. More than 1000 persons attended this summit either as a delegate, observer, press or other. Together with members from various local groups, Panama was represented by approximately thirty delegates. Dignitaries present at the inaugural reception were: aside from the President of Honduras, Porfirio Lobo Sosa, H. E. Álvaro Colom actual President of Guatemala and its ex President Vinicio Cerezo. From Costa Rica came its Vice President Luis Liberman. Each one committed his country to joint efforts, not only for the success of the summit, but also to provide benefits for the afrodescendant people within their territories. The welcome and closing gala were held at La Quinta Real Hotel, while the summit was held at the La Atlántida Regional University Center. This is a particular challenge in countries where black identity does not form part of the collective national identity. If a state does not know how many, where, and in what condition Afro-Descendants live, how can it formulate a public policy agenda to serve these communities?